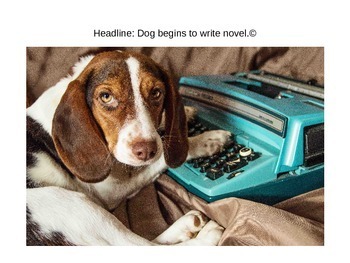 Power Point includes over 15 very unique, storytelling photographs that can be used as writing prompts in class. 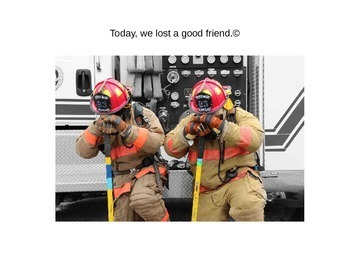 I have also included six word phrases at the top of each image. 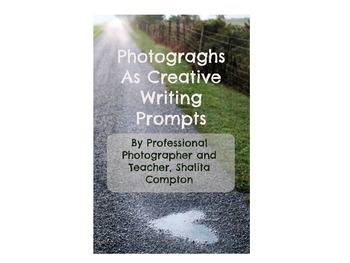 These phrases can be used to help promote writing ideas or for teaching six word memoirs. Teachers have my permission to print the images to display with student writing if they would like to do so. Visual art teachers who are teaching photography may want to purchase and use the photographs for art related lessons as well. 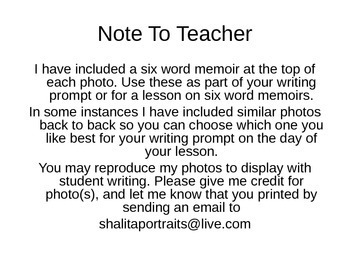 All photos are property of the seller so please do not reproduce them other than to display with your students writing.